Actually, I do not think this kind of criticism should be lightly dismissed. Moreover, a Hayekian basis for this critique has been indicated, albeit sketchily, by some libertarians including Tyler Cowen and Russ Roberts. I will try, in good faith, to charitably flesh it out here. I will also supplement it with related insights drawn from an unlikely Hayekian bedfellow: the left-leaning legal scholar Ronald Dworkin. The worry turns out to be directed not at RM per se, but at all concerted, conscious efforts to fundamentally redesign institutions. It is serious but answerable, and if advocates of the RM project understand it well, they are far more likely to succeed. I begin by outlining what I’ll call the Case Against Rational Design. I move on to discuss its limitations, and why it does not undermine RM. Like other “critical” projects, Radical Markets points out irrationalities in some of our most important institutions, like democracy and private property. But almost uniquely, it has a strong “constructive” dimension. It sketches out alternative institutional frameworks that address the irrationalities it identifies. Some see worrisome hubris in the attempt not merely to identify deep institutional problems, but also remedy them. And many who take this view have been influenced by Hayek’s case against “rational constructivism.” We should take a look at that Hayekian case. In his later works, Hayek asserts that, much like the markets themselves, our inherited institutional structures embody the integration of enormous amounts of information — too much for any single mind to embrace. This information comes not only from the present, but from the past, where generations of trial, error, and spontaneous social activity have etched into our institutional structures information and insights too numerous and obscure for anyone to adequately survey. Therefore, no matter how clever we are, tearing down institutions and rebuilding them along rationalistic lines is folly. 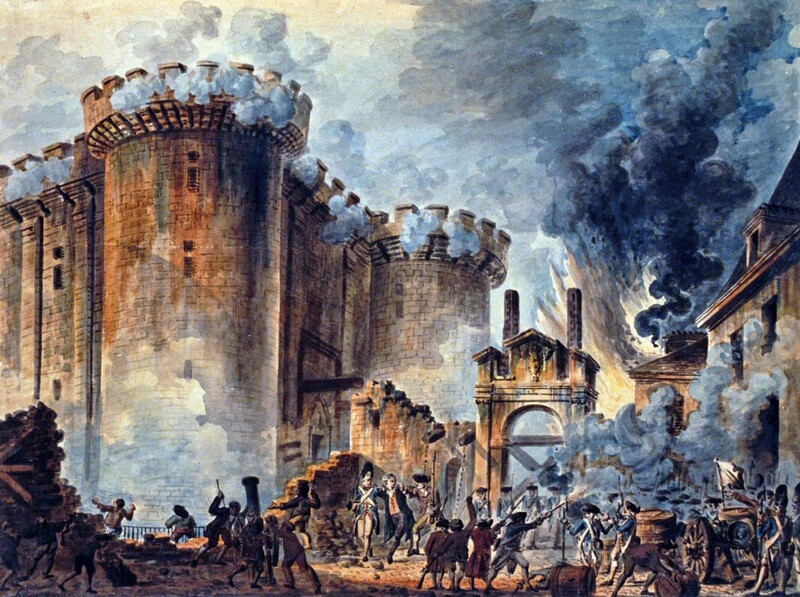 French Revolutionaries burning the Bastille, and presumably also the old laws. Hayek acknowledged the limitations of spontaneous order. He did not suggest that traditional institutions lay beyond criticism, nor that reason has no useful role in solving the problems of the present day. He did, however, mean to refute those criticizing present institutions on the basis that they emerged through historical-evolutionary processes instead of rational ones. He also hoped to temper the confidence of those who would deign to radically redesign society. Hayek endorses one brand of criticism of inherited institutions, exempting it from his indictment of “constructivist (or naive) rationalism.” He calls it “immanent criticism”. It is “a sort of criticism that moves within a given system of rules and judges particular rules in terms of their consistency or compatibility with all other recognized rules in inducing the formation of a certain kind of order of actions.” [Hayek 1978, MSJ p. 24] In other words, inherited institutions cannot be immune to rational criticism when they contradict themselves. After all, what besides reason could help us resolve such internal conflicts? It seems to me that this cannot exhaust the analysis. Because all societies, to some extent, owe what is good about their present form to the pursuit of values that they do not, and perhaps even cannot, fully embody. It is therefore false that the “aim” of the rules of decent societies is always “the maintenance or restoration of an order of actions which the rules tend to bring about more or less successfully.” Good societies often fall short of their own aspirations, and they even know it. 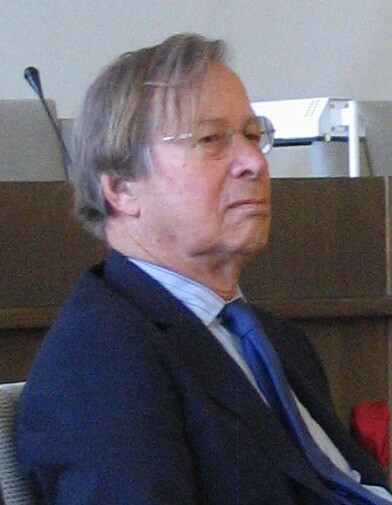 Unless you are a law professor, you have probably not read Ronald Dworkin, a slightly-out-of-fashion legal philosopher. But, with apologies to HLA Hart, nobody in the second half of the 20th century made a bigger splash in the philosophy of law. Whatever his flaws, Dworkin is someone more people should have read. And his ideas cast a very helpful light on the problem Hayek identified. Dworkin laid out a theory of law and legal interpretation, which he called “law as integrity”. It greatly resembles “immanent criticism”. It says that, in order to know what the law is, we have to do more than just look at what is written in statutes and precedents. We also have to interpret what they say. And how do we do that (especially where the meaning is ambiguous or unclear)? For Dworkin, the interpretive task is twofold. So far, this sounds a lot like Hayekian “immanent criticism.” But Dworkin adds another dimension that makes it quite different. Because he doesn’t think, like Hayek, that this process of interpretation must merely serve the aim of “maintenance or restoration” of an existing order. Instead, Dworkin argues that legal interpretations must not only fit the facts of our inherited institutions, but also, second, morally justify them. That might sound like a deeply conservative idea — that we should try to “justify” historical wrongs. It is not. Rather, the idea is that by searching for underlying principles that best justify inherited institutions, we gradually slough off the unsound morality that they contain, but without discarding their wisdom. Take the example of American constitutional democracy, in which, initially, all white male property owners — but no one else — enjoyed an equal vote. That practice is emphatically not justified by the principle that only white male property owners deserve a vote. Therefore, we do not let that unsound principle guide any present interpretation of the law. But the principle that members of a community matter equally, and should participate in decisions concerning their governance, is a good one, which casts American democracy in a morally better light. We therefore ought to keep the latter principle, and extend it. In this way, Dworkin envisioned our laws and institutions evolving toward new and better aims, while preserving the wisdom of the past. As you have already surmised, I think the Case Against Rational Design fails to sink the key RM ideas. Second, the RM ideas are not the kind of institutional design projects that so worried Hayek. Hayek’s most important accusation against rational constructivists (read: socialists) was that they sought to dictate the ends toward which people ought to work, and to guarantee favorable outcomes. [Hayek, MSJ p. 136]. Ideas like QV, Harberger taxation, data labor intermediation, and Liberal Radicalism are not guilty of that charge. That said, I understand why people worry about the extent of the changes that would result from a broad implementation of these ideas. We cannot, for example, be sure that Harberger taxation will not interact with other social, legal, or political institutions with untoward side-effects. A responsible advocate of any radical institutional redesign must constantly bear this in mind. Therefore we must take an iterative, experimental approach, moving from smaller implementations to larger ones, and working within existing institutions wherever possible. Yet we cannot stay put either. The power of technological change to upset the spontaneous order of our institutions escaped serious analysis by 20th-century thinkers like Hayek and Dworkin (not to mention Burke) in part because its salience recently increased. Technological disruption now reshuffles the spontaneous order of our social and political institutions at a breakneck pace that few foresaw twenty years ago. Technology has disrupted emergent order in other ways, too. Take the norms of discourse, which have emerged in each society over a long period of time. Whether or not these old norms were any good, new technology — for example, Twitter — significantly disrupted and supplanted them in a matter of years. Here I take no position on whether the young norms are better or worse than the old ones, but they are certainly less stable. We cannot reasonably ascribe to them the merits of time-testedness, or integration of past wisdom. There is therefore very little reason to believe in them going forward. In other words, if we don’t constantly examine our institutions and redesign them rationally, then technology will do it for us, chaotically. This explains why blockchain technologists have grown so interested in governance. If a tenth of the crazy dreams of blockchain technologists come true, it will disrupt our most important social and governmental institutions. This insight has led to many private realizations that without a very thoughtful institutional design process, the technology could wreak chaos. It simply isn’t good enough anymore to “move fast and break things,” to build technology that scrambles institutions without regard for what will replace them. Technical engineering and social engineering are inseparable, whether we like it or not. Time to face up to it. Another interesting criticism of the specific Radical Markets COST scheme was acknowledged by Glen Weyl here. It concerns whether the COST revenues should inure more heavily to groups more likely to be the efficient property owners, instead of evenly distributed. I have not yet had time to fully consider this important question. Let’s not forget, however, that perhaps the foremost Cartesian political scientist was Charles-Louis de Secondat, Baron of Montesquieu, whose ideas shaped the institutional checks and balances designed into the American Constitution. I will defer to Jaron Lanier for a fuller articulation of social media’s defects.